- Enjoy Christmas Treats Aplenty Here at Yazz Hair Studio! Here at Yazz No 1 Hair Studio, we have lots of seasonal surprises up our sleeves – all designed to ensure you can have your most sparkly Christmas yet! First up, we’re giving you three treatments for the price of two here at Yazz Beauty. So, whether you’d like your nails doing or you’re keen to get a facial or have a pedicure, you’ll find a trio of treatments works out much cheaper. Why not take advantage of this exclusive offer? Just get in touch with our team today and book in for some pre-Christmas pampering. The Bed Head Bigged Up set is just one of the sets available in the range of party-ready packs of hair essentials. 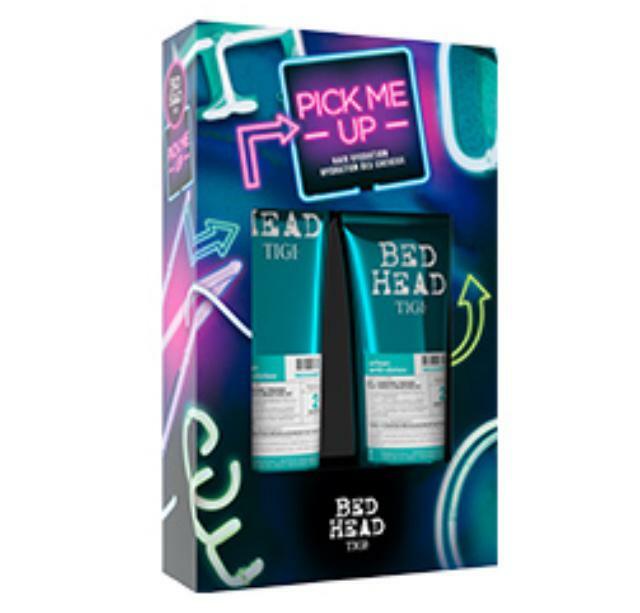 It features the TIGI Bed Head Queen for A Day Thickening Spray (311ml) and the TIGI Bed Head Oh Bee Hive (238ml). The first product creates root lift and volume, while the second offers movement and texture. Also available in the range is Pick Me Up – the perfect antidote for dry, damaged hair that’s in need of a welcome moisture hit. The set features TIGI Bed Head Urban Antidotes Recovery Shampoo and Conditioner, which helps repair hair damaged by heat and styling. It’ll also keep colour vibrant and make hair more manageable. Why not ask us about this kit and grab one for you and one for someone else? 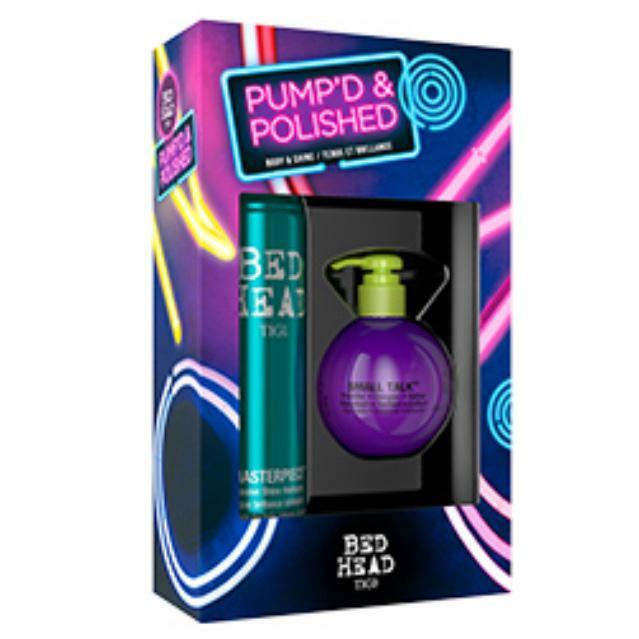 How about the TIGI Bed Head Pump’d & Polished gift set? The ideal Christmas present, it includes TIGI Bed Head Small Talk 3-in-1 Thickifier, Energizer, Stylizer Cream and Thickifier and the TIGI Bed Head Masterpiece Massive Shine Hairspray. Both are in very generous-sized containers and the set itself is available at a great price – why not pop into our salon to find out how much you can bag this for? 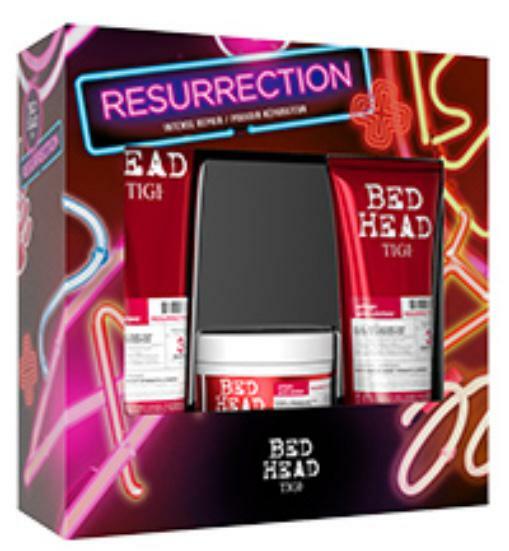 If your hair’s brittle and in need of some TLC, you’ll want to get your mitts on the TIGI Bed HEAD Resurrection kit. It includes the TIGI Resurrection Shampoo, the TIGI Resurrection Conditioner and TIGI Resurrection Treatment Mask. Feel like your hair could benefit from a little in-salon care and respect? Chat to us about deep-conditioning treatments here at Yazz Number One Hair Studio. For those who have coloured hair, you’ll want to check out the Colour Goddess TIGI Bed Head kit, which contains everything you need to restore that vibrancy your hairdresser achieved when you first went for a new shade. The Man On gift set by TIGI Bed Head comes with a Daily Shampoo, Conditioner and some wax – ideal for the man in your life who’s never without his haircare essentials. So, go on; why not book in for some three for two treatments here at Yazz, or treat someone to a gift set they’ll love. as there are plenty more where those came from – get in touch for more details.